Adelantarse tiene su premio: Aproveche nuestra oferta y reserve su estancia durante los meses de Mayo y Junio desde 73,50€* por habitación y noche. Oferta solo disponible para reservas por la web del hotel. (*Consulte condiciones de fin de semana). 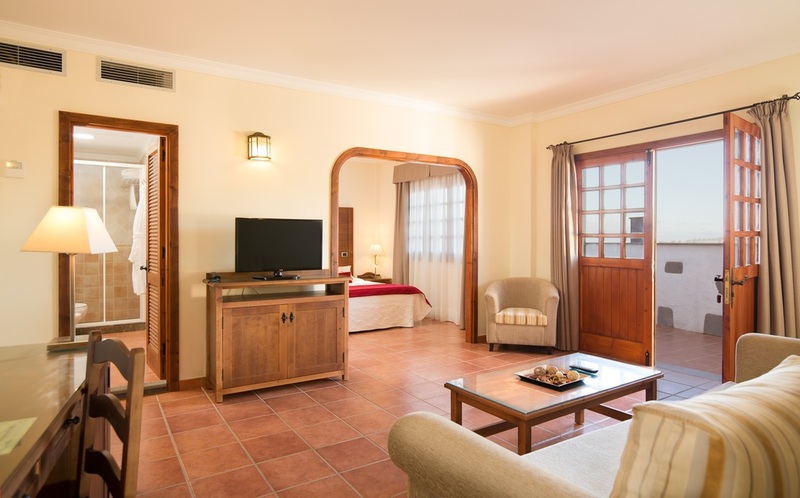 6 Junior Suite Rural: 2 with terraces (1 with garden views and 1 with mountain views) and 2 with stone balconies (1 with garden views and 1 with mountain views with a fire place) they all have a rural décor and large living rooms.